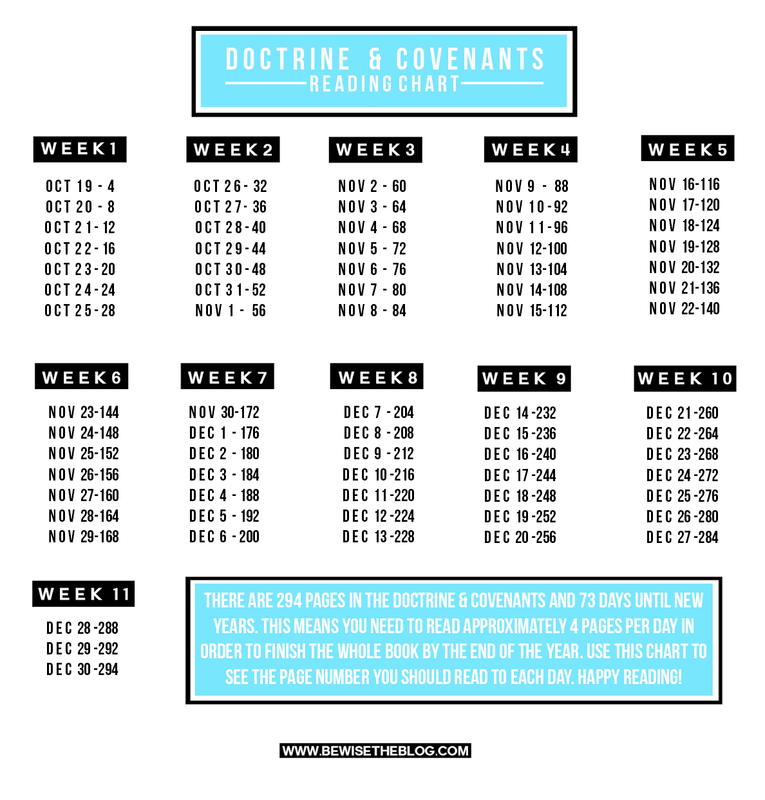 I have set a goal to read the whole Doctrine & Covenants by the end of the year. We are so blessed to live in a time where the scriptures are so accessible. I am constantly using my Gospel Library app to read on the go. It's super convenient having the scriptures right in our pockets isn't it? Join me by following along with this chart. At only 4 pages a day it makes reading super slick. No excuses, anyone can accomplish this. Happy reading!